As a saxophonist who primarily plays the baritone I am always on the lookout for great bari players and recordings. Two of my favorite bari players (Claire Daly and Gary Smulyan) have relatively new albums out. These excellent new albums will not only appeal to bari-philes such as myself, but to fans of the artists and those who get down with straight-ahead jazz in general. and then settled down in Juneau, opening an Irish bar called the Lucky Lady. The compositions are all programmatic and refer to different events, people and feelings that Joyce experienced. On baritone Daly has a fat, robust sound throughout the entire range of the horn. The album opens with “Guidance,” which is dedicated to the Tlinkit Indian guides who traveled with Joyce to Fairbanks. The tune has a medium tempo Afro-Cubanish groove and Daly’s solo is a clinic in using varied note and phrase lengths and thematic development to build a solo. Pianist Steve Hudson’s solo uses plenty of space, octaves, and is sparse in places. “Guidance” has the feel of one who is carefully planning something large and preparing to do so in a measured and thoughtful way. As a dog owner and complete sucker for all dogs, one of my favorite pieces is “Tippin’,” which is dedicated Joyce’s sled dogs, especially her lead dog Tip. Listening to this track it’s almost impossible not to imagine a bunch of happy dogs running in the snow. The tune is catchy, lighthearted and Daly’s baritone glides over the rhythm section just has Joyce’s dogs must have glided over the snow. She plays alto on the ballad “Lonely Wilderness,” and her tart tone and bittersweet delivery immediately bring Jackie McLean’s balladry to mind. A tight groove is important to this album, with several cuts being held down with a funky back beat. “Homage to Freedom” begins with such a backbeat with Daly on flute before settling into a burning tempo. “Determined,” with Daly again on flute, rides a light backbeat all the way through. I’m not quite taken with “Shine,” the album’s lone vocal cut – but the other instrumental tracks are excellent. For a more detailed description of Joyce’s adventures, be sure to listen to “Epilogue” (Daly’s rhapsodic baritone is quite nice as well). 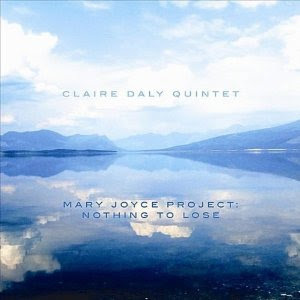 The Mary Joyce Project is a very fine and unique album, dedicated to brave and unique woman. Gary Smulyan’s Smul’s Paradise is a hard charging post-bop album that finds Smulyan in the company of a smoking organ trio composed of organist Mike LeDonne, guitarist Peter Bernstein and drummer Kenny Washington. The album is partially a tribute to organist Don Patterson, in that it includes two of his tunes (“Up in Betty’s Room” and “Aires”) as well as Smulyan’s easy swinging “Blues for D.P.” Despite this is the first time these four men have played together their connection is tight and sound as if this is a working band. The album opens with the waltz “Sunny.” LeDonne, who is quickly gaining wider recognition, starts things off with a measured solo that concludes with each hand engaging in a call and response section. As always, Smulyan slaloms through the changes making playing baritone with that much technical facility sound much easier than it is. He possesses one of the most largest and complex baritone sounds which comes straight out of Pepper Adams. Bernstein’s single note runs swing effortlessly and Washington gets a brief solo on which he primarily alternates between the snare and cymbal hits. The relatively brief “Pistaccio” is quite catchy. LeDonne has a bigger take-me-to-church kind of sound during the tune’s bridge and he starts his solo with fleeting and darting runs and finishes things out with repeated figures and punchier single notes. Smulyan is particularly impressive on the title track, on which he unfurls fresh line after fresh line. Bernstein again plays a more subdued contrast to Smulyan’s buzzsaw approach and LeDonne’s use of varying phrase lengths, articulations, voicings and rhythms keep things fresh and unpredictable. Washington, who swings as hard as any drummer going rounds out the solos by trading tasteful and clean eights with Smulyan and LeDonne. The album concludes with Smulyan’s burner “Heavenly Hours” that finds Smulyan flexing his bebop chops alone with Washington. This powerhouse track is a fitting closer to a rock solid album by one of the premier bari players of our time and a killing rhythm section. It’s a wonder why more bari + organ trio albums don’t get made. Perhaps Smul’s Paradise will inspire more bari players to get into the format.